This English Bulldog has a gallon of personality, with his wrinkly short comical face. He's more likely to curl up on your lap and take a nap, than chase a ball around the yard. 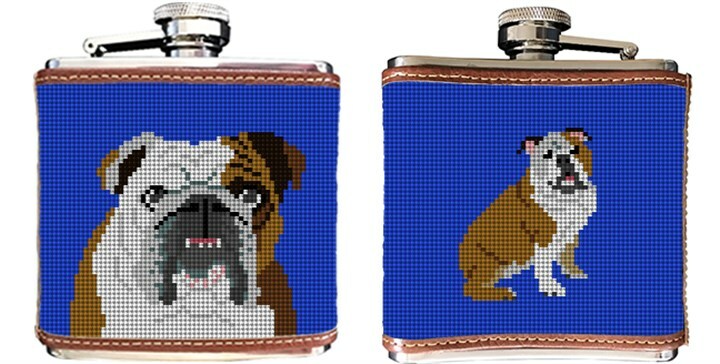 This dog is calm, courageous, friendly, and is wonderfully illustrated on this needlepoint flask. The perfect gift for the bulldog lover in your crowd.